This colorful vegan buddha bowl is so healthy and tastes amazing! 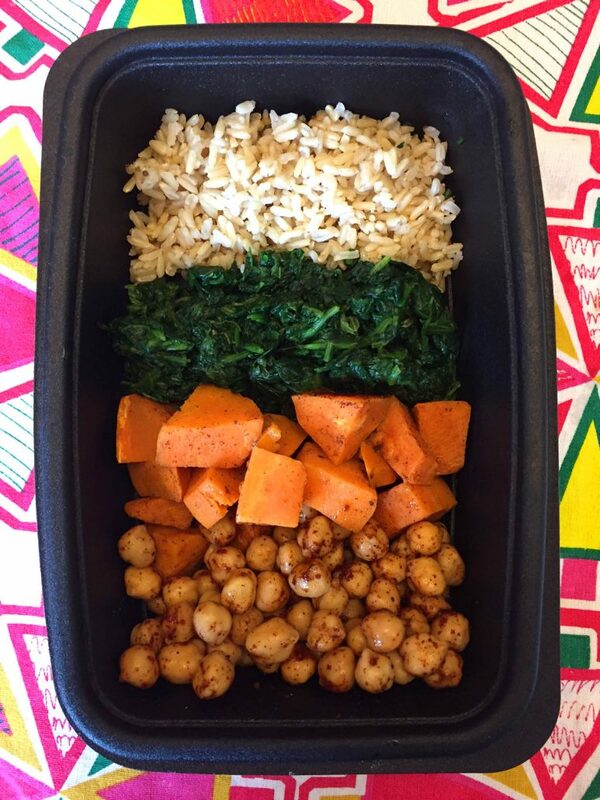 Spiced sweet potatoes, chickpeas, spinach and brown rice make a complete plant-based lunch or dinner! First of all, let me start off with the fact that I’m not vegan. I’m not even a vegetarian. However, I love this vegan buddha bowl. 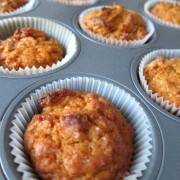 It tastes amazing and makes me totally full – no meat needed! 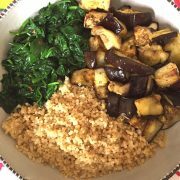 If you are looking to eat healthier and incorporate more plant-based meals into your diet, this is the perfect recipe to get your started. 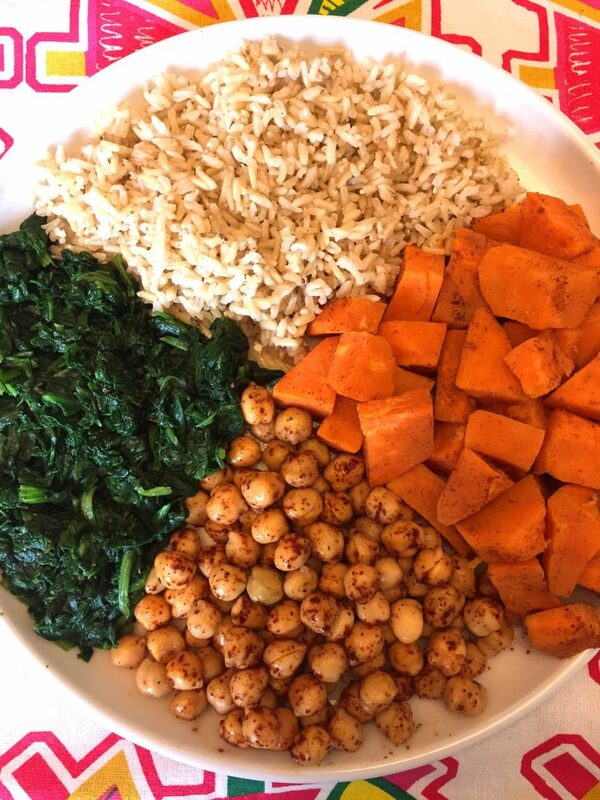 This vegan buddha bowl consists of spiced chickpeas, sweet potatoes, garlic spinach and brown rice. These wholesome ingredients are so nutritious and provide you with enough protein to keep you full for a long time! This stuff is so healthy and yummy, and gluten-free too, you totally need to try it for your next lunch! Layer the ingredients or mix it all together? It totally completely up to you! I like to layer it first, and then completely mix it when I’m about to eat. Mixing all those colorful ingredients is simply so satisfying! 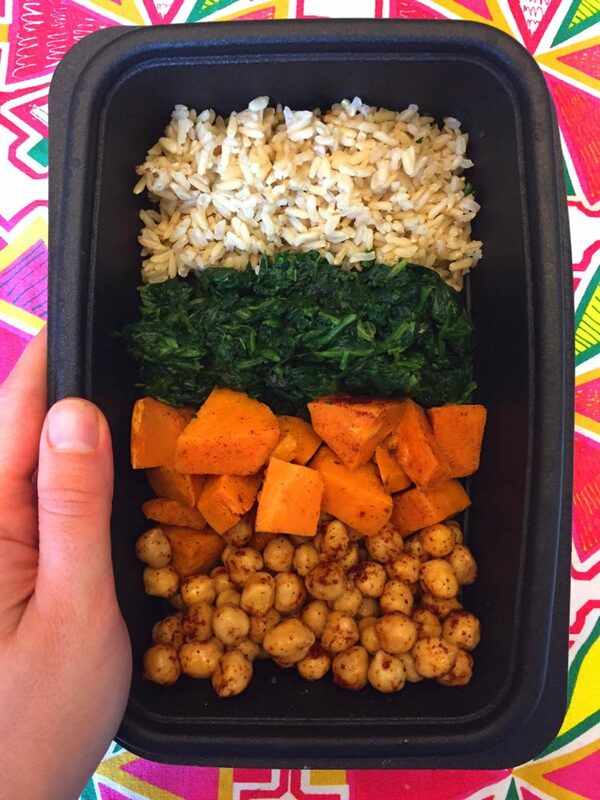 This recipe makes 4 buddha bowl portions, which is enough for 4 healthy lunches. If you are super-hungry, make it into three servings instead of four 🙂 You can layer the ingredients into lunch containers and these yummy healthy plant-based meals will be waiting for you in the fridge! If you are looking for vegan meal prep ideas, this is it! 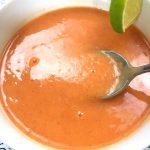 If you are using this recipe for meal prep, there is no need to keep the dressing in a separate container – you can just pour the dressing over the ingredients right away – since there is no lettuce, nothing will wilt! 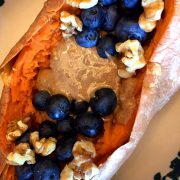 This vegan sweet potato buddha bowl recipe is so straight-forward, you can totally know it just by looking at the photo! 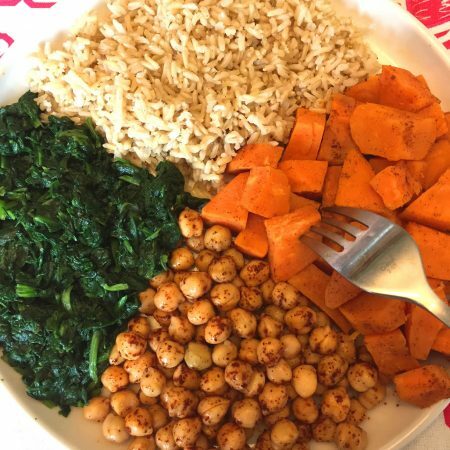 Chickpeas come from a can (just sprinkle with chili powder), the sweet potato is cooked in a microwave and sprinkled with cinnamon, the spinach comes from the frozen package and thawed in a microwave and you can cook brown rice in a rice cooker! 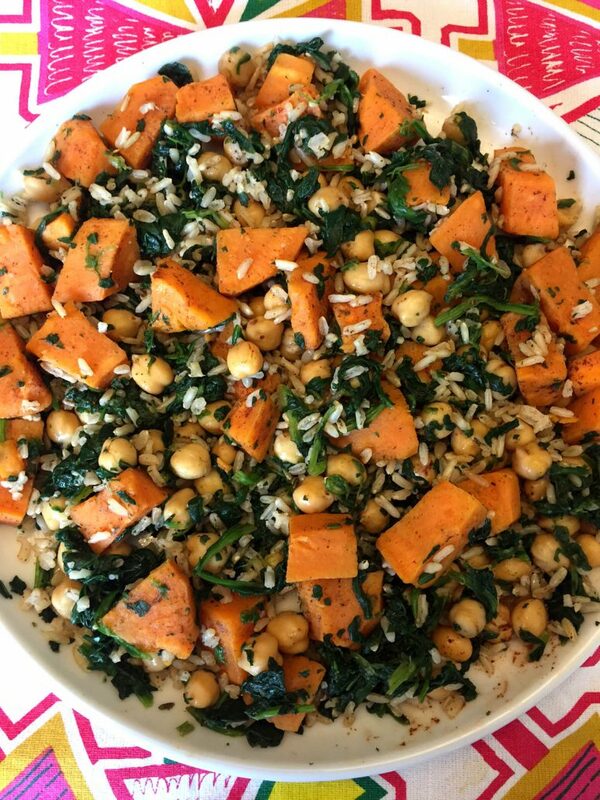 Or course, feel free to use fresh spinach, roast sweet potatoes in the oven and cook chickpeas from scratch if you’d like 🙂 I just try to make life as easy as possible! Enjoy! This colorful vegan buddha bowl is simply amazing! 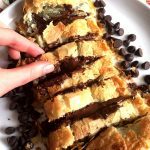 So healthy, delicious and very filling! Super easy to make, a complete one-dish meal that will keep you full for hours! 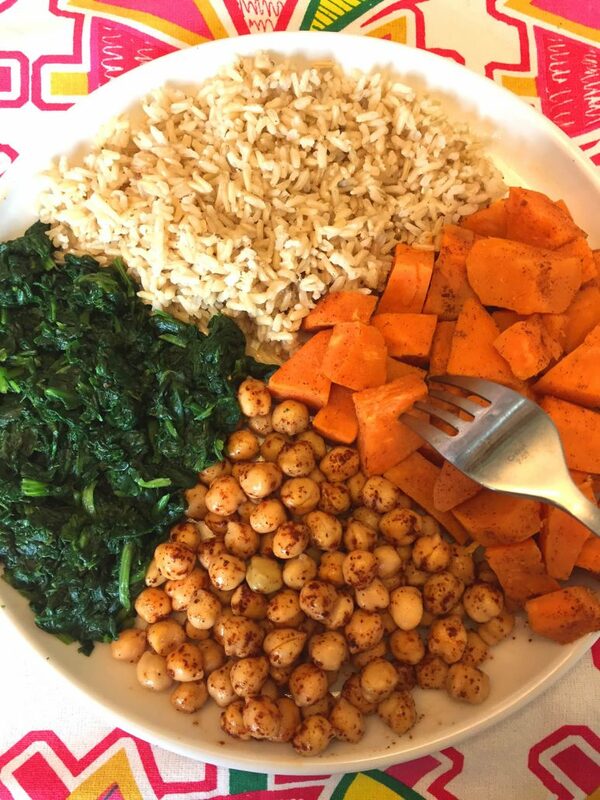 Sweet potatoes, chickpeas, spinach and brown rice, dressed with oil and lemon juice dressing, this makes an amazing healthy lunch or dinner! 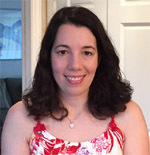 Cook brown rice according to package directions (or use a rice cooker). 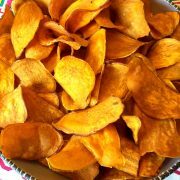 Peel the sweet potatoes and cut them into ½-inch chunks. 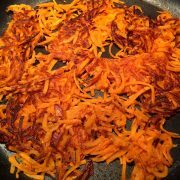 Put sweet potato pieces in a microwave-safe bowl with a lid. Microwave on High for 5 minutes (or until the potato pieces are soft). 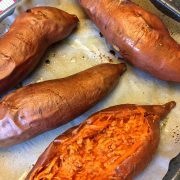 Sprinkle cooked sweet potatoes with cinnamon. Put the chickpeas in a bowl and sprinkle with chili powder. Thaw spinach in a microwave according to package directions. Sprinkle with garlic powder and with salt and pepper to taste. 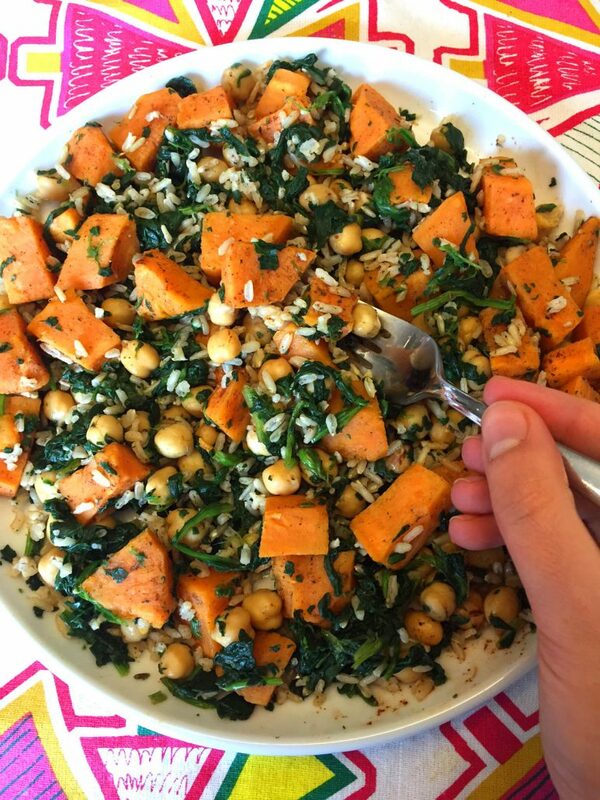 In a bowl or plate, arrange cooked brown rice, sweet potato pieces, chickpeas and spinach (this recipe makes 4 bowls). Pour lemon juice and olive oil in a cup and whisk with a fork. Pour the oil and lemon juice dressing over the buddha bowls.